Type@Cooper and Letterform Archive are partnering to offer a post-graduate certificate program in Typeface Design in San Francisco, CA. In addition to this rigorous one-year course in typeface design, the newly established Type@Cooper West program also brings public workshops and a public lecture series focusing on lettering, digital typeface design, font production, and typography. Since 2010, Type@Cooper, a program offered through The Cooper Union’s Continuing Education Department, has offered two programs in typeface design; one a year-long part-time Extended program, and the other, an intensive five-week full-time Condensed program offered in the summer. Taught by top industry professionals, both programs provide in-depth instruction in typeface design and production, lettering, and the history and theory of typeface design. Additionally, a series of free lectures by guest speakers attracts a dedicated audience of design professionals, students, and enthusiasts. Public workshops offer both a point of entry for non-participants and a way for type design professionals to continue learning advanced skills. 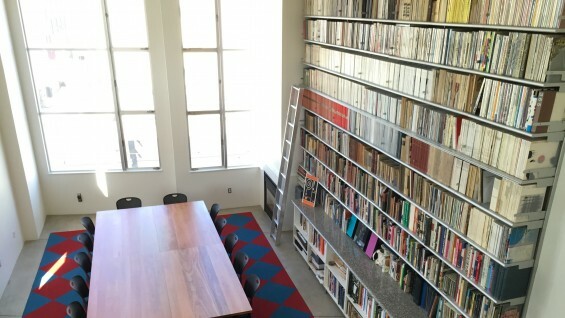 Thanks to a generous grant by Monotype Imaging, a space in Letterform Archive’s new three-story Type Annex, adjacent to its primary location, is being equipped and furnished as a dedicated classroom for the Type@Cooper West program. The classroom will be made very welcoming and comfortable with high-quality furniture, blackboards and whiteboards, an 80” flat-screen display and A/V set up, a printer and scanners, as well as good lighting to complement the natural light. Among the workshop instructors for Fall 2015 are well-known typeface designers and lettering artists Sumner Stone, Jessica Hische, Jim Parkinson, Carl Rohrs, Cooper Alumnus Michael Doret, and Saunders. Applications for the 2016 Extended Certificate program will be accepted beginning mid-October and are due by November 16th, 2015. The details of the 2016 program will be posted soon.